Shopping for Horror: Psycho Pop! Vinyl Figures? This Pop! Vinyl figure is equal parts adorable and creepy! 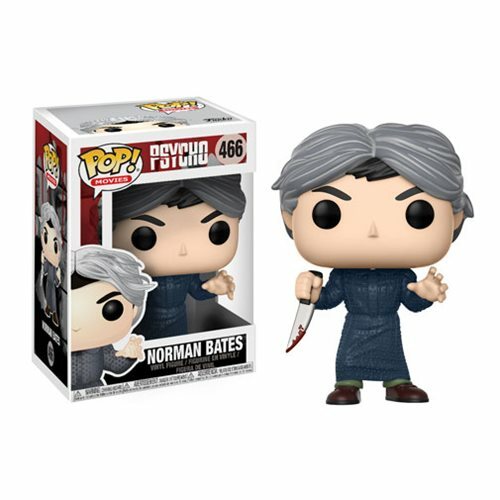 Expand your horror collection with the Psycho Norman Bates Pop! Vinyl Figure #466. Packaged in a window display box, this Pop! Vinyl menace measures approximately 3 3/4-inches tall. Ages 3 and up.